Fancy a European escape without feeling the pinch in your pocket? 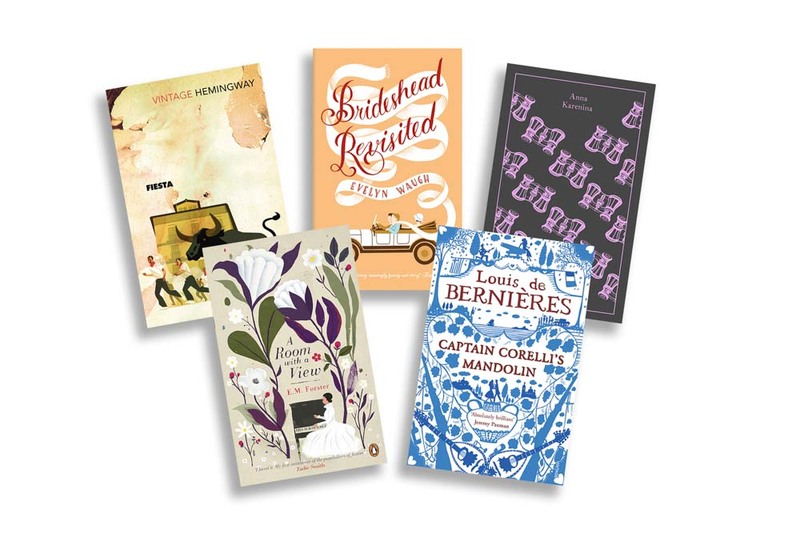 here are five affordable and classic tales to make you feel like you're there. These classic books are full of tales that will inspire you anew to indulge (vicariously) in the history and drama of Europe. Influenced by Hemingway’s own visit to Spain in 1925, the start of the author’s tempestuous love affair with the country, it details a trip to Pamplona for the Running of the Bulls festival by a group of expatriate British and Americans. It is recognised as one of his best works. Forster’s poetic tale of first love among the patinaed beauty of Florence and the Tuscan countryside (and subsequently the dappled, green countryside of England) is the stuff travel dreams are made of. A wildly popular novel due to its gentle wartime love story between Pelagia, a Cephalonian living under the Italian occupation of her island, and Italian captain Antonio Corelli, and the evocative description of sleepy island life. The story of the obsessive, all-consuming love affair between the married Russian aristocrat Anna Karenina and Count Vronsky plays out against a backdrop of intense political, religious and social turmoil that characterised Russia towards the end of the 19th century. A tale of friendship and religion, love and loss, the story of the relationship between Charles Ryder and the aristocratic Sebastian Flynt starts its journey through time in 1923. Waugh’s prose has a halcyon days cast that hints at the passing of long-held English traditions.